After the races in Hachimantai we set off on the 8 hour car drive to Okutadami. To break the journey we spent the night in Sendai which is on the east coast of Honshu island. We didn't realise, until we got there, that Sendai was actually the epi-centre of the massive earthquake that Japan suffered in 2011. Parts of the coastal areas of the city were devastated by the earthquake and resulting tsunami which caused the sea to travel as far as 5 miles inland. And the airport was so badly damaged that it was not able to open for 5 weeks and even then, only with the help of the US military. In Sendai, in search of dinner that was not Japanese in style, we accidentally stumbled upon the most fantastic Italian restaurant. It was better than any I have been to at home or even in Italy. Desert was icecream with biscuit, nuts, fruits etc all mixed together at the table by the waiter who then broke into song (accompanied by the other waiters and chefs) with his own version of "If You're Happy and You Know it ..."! We drove from Sendai, stopping on the motorway for a snack. 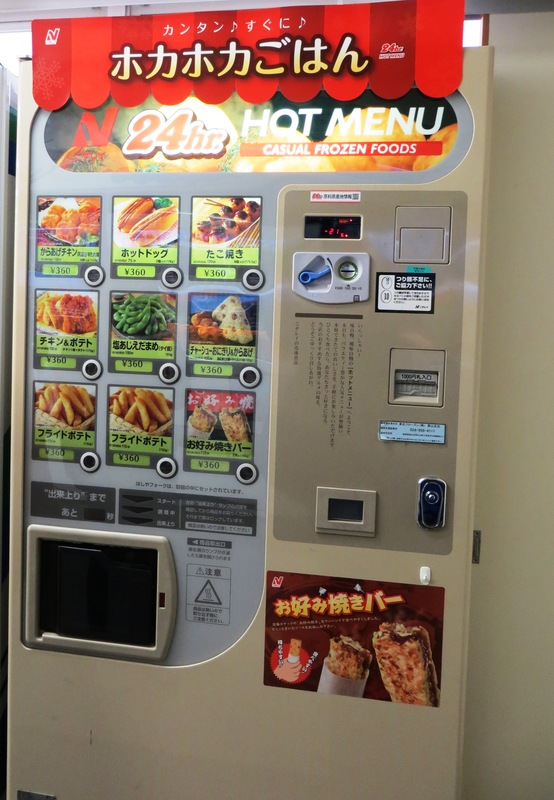 In Japan they have vending machines for everything and they even had one for chips! We had to try it. They were quite good but expensive for the small portion size of about 15 chips! But it is amazing that you can get a vending machine for this kind of thing! We stayed at the same hotel in Okutadami where we had stayed two years ago. It is traditional in that beds are on the floor but the food (although Japanese) is much more palatable and served in a buffet style. The other guests were mostly elderly Japanese people who were on mini-breaks to the hotel which is an "onsen" (meaning that it has hot springs). They don't bother to get dressed all day long and wander around the hotel as well as go to dinner, in their bathrobes! Florence and I were invited to forerun the high school race on the Tuesday. 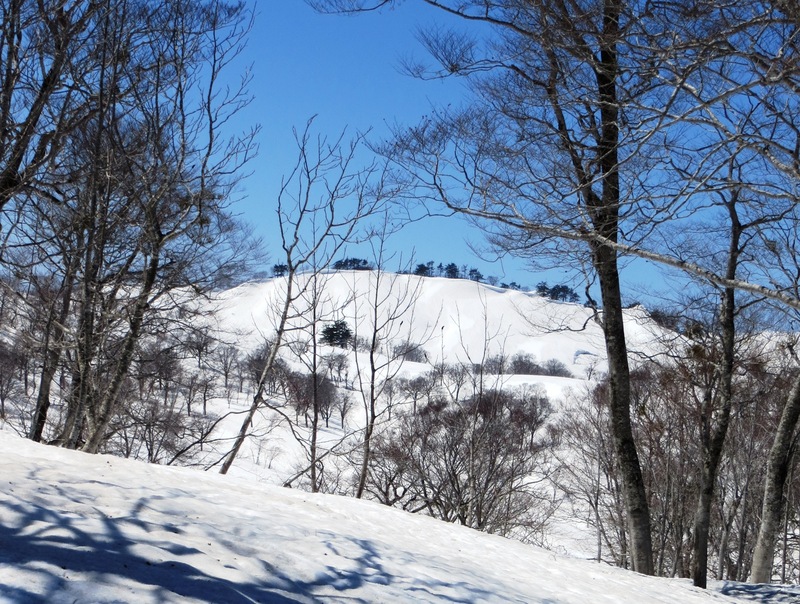 The weather was lovely although this did mean that the snow was getting quite soft. 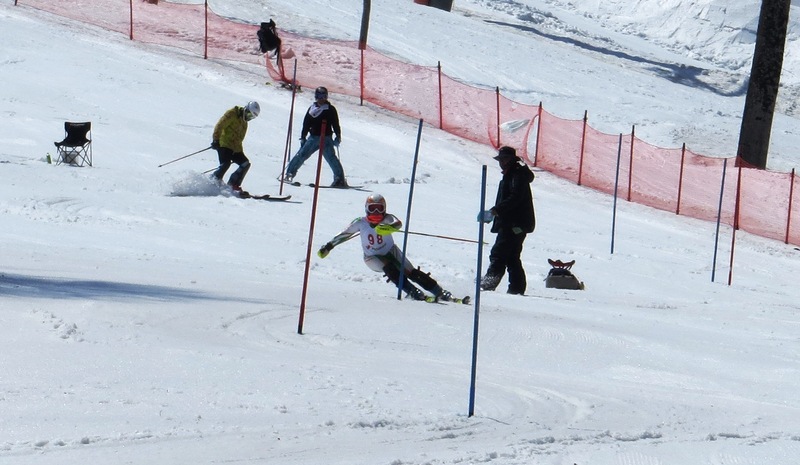 Fortunately the field was smaller than in Hachimantai and so I was able to get into the top 30 flip on both race days and I was pleased to score in the low 70s in both slalom races. Happily, I have ended the season with my slalom points reduced by 8 to 72.48. After the second race we changed out of our ski suits in the car park and headed off to Tokyo for a day of relaxation before our return home.